This section of the Flowers Ellon website is dedicated to the finest flowers which you can order from us to really show someone how special they are to you. 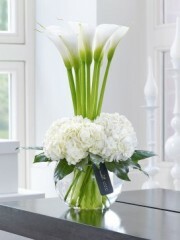 We always use the best flowers available here at Flowers Ellon and these luxury flowers are the pinnacle of elegance designed to be admired by any recipient you have in mind. 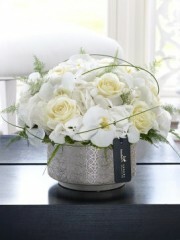 Your recipient will be so touched when you send them gorgeous luxury flower arrangements from Flowers Ellon. Many of these designs include the nation’s favourite flowers so our Florists Ellon know they’re certain to make someone smile. With Flowers Ellon you can order these gorgeous flowers for any occasion you’d like including birthdays and anniversaries or even if you’d prefer to send them spontaneously for no specific reason other than to remind them that you care. At Flowers Ellon we are proud of the excellent service we provide across all areas so you can count on us to make sure you and your recipient are totally satisfied with whatever you purchase. If you need any help or advice when purchasing flowers our Florists Ellon have a wealth of experience and will be delighted to help you choose something that’s beautiful and appropriate to the situation and your recipient. 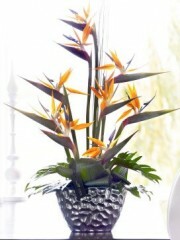 Flowers Ellon have been established over 40 years and love providing flowers in the North East. Flowers are our passion here and whichever of our florists makes up your bouquet or arrangement you can be sure that their creativity and skill will be apparent in whatever you choose. It’s our top priority to please our customers here at Flowers Ellon so once you’ve placed your order you can rest assured that whatever you need will be taken care of right up until the moment it safely reaches your recipient at the address you specify. At Flowers Ellon it’s our privilege to be a part of your gift giving as we love having the opportunity to spread joy among your recipients. 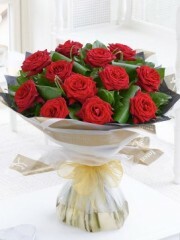 Bringing smiles to faces is what our Florists Ellon love best so you know we’ll always do our best in everything we do. 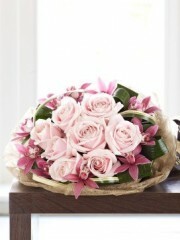 You can even send gifts other than flowers with the Flowers Ellon service as we’ve thought of everything. Our Florists Ellon can send chocolates, champagnes, wines, balloons and teddies wherever you need them to go alongside your flower arrangements or even on their own because it’s our pleasure to take care of everything you need. When you need flowers and gifts you can count on us at Flowers Ellon. We’re even able to send your gifts on the same day when you’re in a hurry as the Flowers Ellon delivery includes same day delivery on orders placed before 3pm to make it easy for you to arrange excellent gifts at short notice. If you’re busy you can order something that’s sure to please your recipient over the phone or online and let Flowers Ellon do the rest on your behalf. We’ll make sure that your arrangements are created carefully just as you’d like them and then send them out with the Flowers Ellon drivers who look after everything while it’s being delivered to make sure there’s never any mishap and your orders arrive safely with your intended recipients in pristine condition. 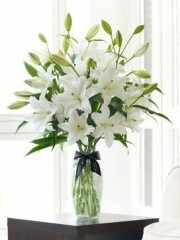 At Flowers Ellon it’s easier than ever to use our excellent service as everything is designed to suit you. You can even make a bespoke order and our Florists Ellon will be delighted to create something especially tailored to you so you know it will be perfect for the person you have in mind. For further information contact Flowers Ellon.